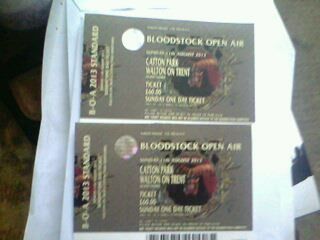 First, let me announce that I have purchased and received my tickets for this year’s Bloodstock Festival next month. I will only be going for the Sunday because my fifteen year old step son would not be able to handle three days there. Not a major disappointment though. Sure, I would have loved to see Accept and King Diamond on the Friday night, but it won’t be the case. Still I get to see such great acts like Slayer and Anthrax who are number one and two on the bill. Two below Anthrax is Exodus who, if you’ve read Rock And Roll Children, when the characters are watching them live are astounded that mortal men can play so fast. Of course there are other great metal acts on the day on the Ronnie James Dio Stage and the Sophie Lancaster stage. I will also check out the New Blood stage as well, so I’m going to have a very busy day on August 11. The other announcement is my new book “He Was Weird” is now available on Amazon and I have started a new blog called Peaceful Rampage to promote it. The link is: http://peacefulrampage.wordpress.com I will admit now that it’s not about heavy metal although when the big climax occurs, some people try to blame metal for it. I will also say that for those who have read “Rock And Roll Children” and weren’t too impressed, my biggest critic, my sister, says that this time I have really upped my game as a writer. So those who did enjoy “Rock And Roll Children” should definitely enjoy this one. This entry was posted on July 7, 2013 at 8:40 pm and is filed under 1980s, Concerts, Heavy Metal, Heavy Metal and the 1980s, Music, Rock, Uncategorized with tags anthrax, Bloodstock, Books on music, Classic Rock, Exodus, hard rock, Heavy Metal, Heavy Rock, Rock And Roll Children, Slayer. You can follow any responses to this entry through the RSS 2.0 feed. You can leave a response, or trackback from your own site. Municipal Waste were playing on Friday too! I know and my stepson is rather disappointed at not getting to see them. YOU LUCKY!! Have a grand Metal time at Bloodstock!! Whoa! 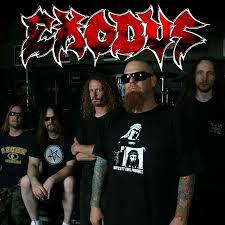 Gary Holt and Exodus!! 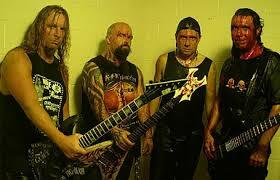 Slayer and Anthrax! Unreal!! Thanks so much Stone! Don’t worry, you will read a full account of the day right here.